While in Tucson last, I was out one day with my friend Nicole on the hunt for a tortilla press. It was harder to find than you'd think in a Southwestern town so alive with Latin culture, but everyone sent us to the same place, the ever-modest Food City. 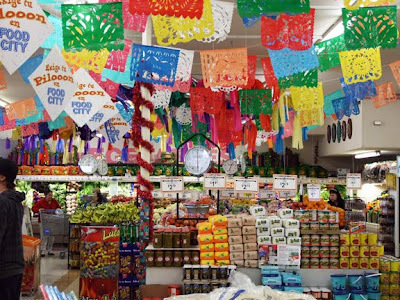 A fusion of Mexican specialty food market and American grocery mart, it's a bit like LA's Jon's Market but WAY more fun. 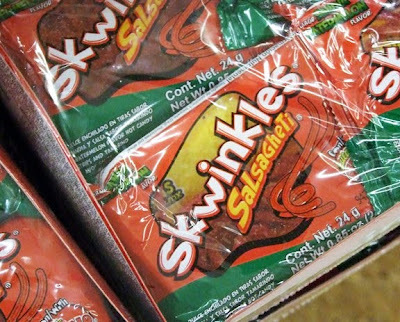 They didn't end up having a tortilla press, but I mean, where else can you stock up on your Skwinkles Salsagheti? ?